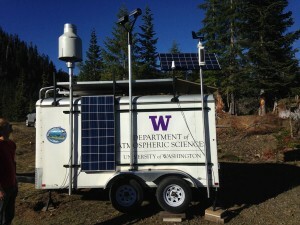 For the next six weeks, University of Washington scientists will be working with NASA to study precipitation in one of the rainiest parts of the country, during one of its rainiest seasons. With high-tech weather radars, weather balloons, ground instruments and NASA’s DC-8 flying laboratory, scientists will be watching rain and snow storms on Washington’s famously wet Olympic Peninsula. The project’s goal is to calibrate measurements made by the Global Precipitation Measurement satellite, which promises a next-generation view of rain and snow around the planet. The Olympic Peninsula is one of the few rainforests in the world located outside the tropics. Scientists and UW graduate students have spent the fall placing storm-tracking equipment on the ground. The same topography and unique climate that made it a natural laboratory for the experiment have earned much of the area status as a national park. The team has carried equipment in by truck, by foot and even by mule. Now the scientific storm-watchers hope Mother Nature will deliver some good material in the weeks to come. Follow the researchers’ blog and see photos from the field. NASA will host a “NASA Social” behind-the-scenes tour Nov. 11 and 12. 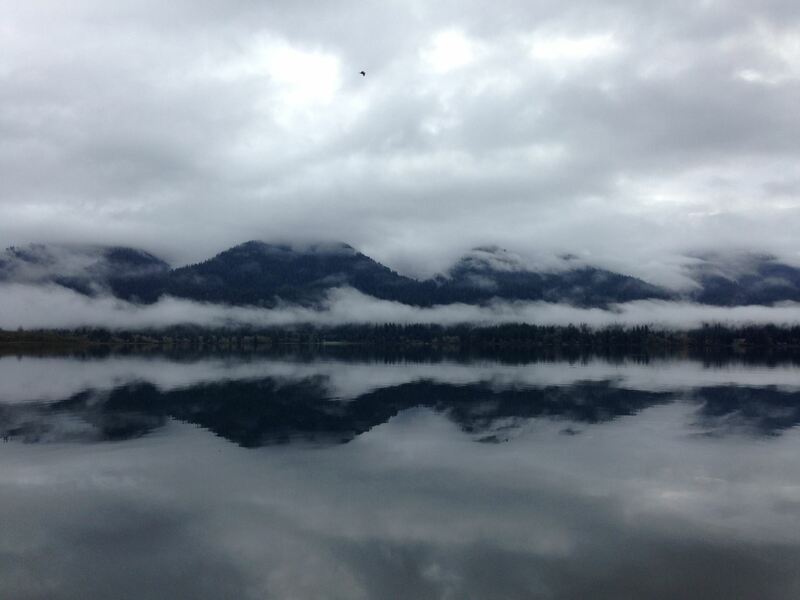 The Olympic Peninsula gets an average of 16 inches of precipitation in November alone. The region is a natural laboratory to study precipitation, and one that will benefit from better precipitation forecasts, flood warnings and model estimates for how precipitation may change in the future. The core Global Precipitation Measurement satellite, launched in early 2014, carries technology for the next generation of precipitation observations, including the new capability to detect snow and light rain. The next few weeks will test its space-based electronic eyes. “We’ve designed an experiment where we have aircraft that are pretending to be the satellite,” said OLYMPEX principal investigator Robert Houze, a UW professor of atmospheric sciences. Starting Thursday, Nov. 12, NASA’s DC-8 flying laboratory will operate out of Joint Base Lewis McChord and fly at an altitude of 39,000 feet above storm clouds moving toward the Quinault and Chelhalis river basins. In mid-November it will be joined by NASA’s ER-2 aircraft, which will fly farther above the clouds at 65,000 feet. 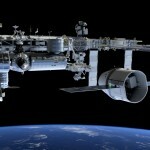 Both planes will carry instruments similar to those used in space, to simulate satellite observations. A third aircraft, the University of North Dakota’s Citation, will actually fly through the clouds to take direct measurements of the droplets and ice crystals. Incoming storms from the Pacific Ocean hit the coast and quickly reach the Olympic Mountains. The bumps act like rocks in a river, forcing the clouds in the storm system up and around the rocks, which changes the character of the precipitation. Following the storms from the ocean to the mountains provides highly variable terrain that leads to fast-changing conditions for rainfall and snowfall — which are a challenge to measure from space because they change quickly and over short distances. On the ground, a large weather radar by the mouth of the Quinault River and a Doppler-on-Wheels on the shore of Lake Quinault will be gazing up at the clouds, studying their internal structure and how this changes as the storms move from the ocean inland. Arrays of rain gauges and other instruments on the ground — including volunteer citizens’ rain and snow gauges — will collect data on how much rainfall or snowfall reaches Earth’s surface. More ground instruments will image and count individual raindrops and snowflakes to get accurate small-scale pictures of heavy or light rain and snowfall. “This stack of measurements lets us connect the dots between what we see from space, what happens in the clouds and what we measure on the ground,” said NASA scientist Walt Petersen, who is leading the field campaign. Detailed ground measurements will help the team understand the fundamental processes within clouds that cause rain to fall as snow, sleet, rain or hail, driving downpour or light mist. “All of these measurements are aimed at determining if the assumptions that we’re making about interpreting the satellite measurements are correct,” Houze said. Houze, McMurdie, Petersen and UW graduate students will hold weather briefings each morning at the mission’s control room in the UW Atmospheric Sciences building. The large weather radars will be dismantled and flight missions will end by Dec. 21. Other equipment will continue to record data in the field until the team retrieves it in the spring. The Global Precipitation Measurement is an international mission led by NASA and the Japan Aerospace Exploration Agency. Partners on the OLYMPEX mission are researchers at the University of Illinois, University of Utah, Texas A&M University, McGill University, Stony Brook University, Colorado State University, State University of New York, Environment Canada, as well as the U.S. Forest Service, the National Science Foundation, Quinault Indian Nation and the National Park Service. For more information, contact McMurdie at 206-685-9405 or mcmurdie@atmos.washington.edu. NASA will hold a media day and tour of the DC-8 aircraft Wednesday, Nov. 11 and can host media on flights throughout the week. 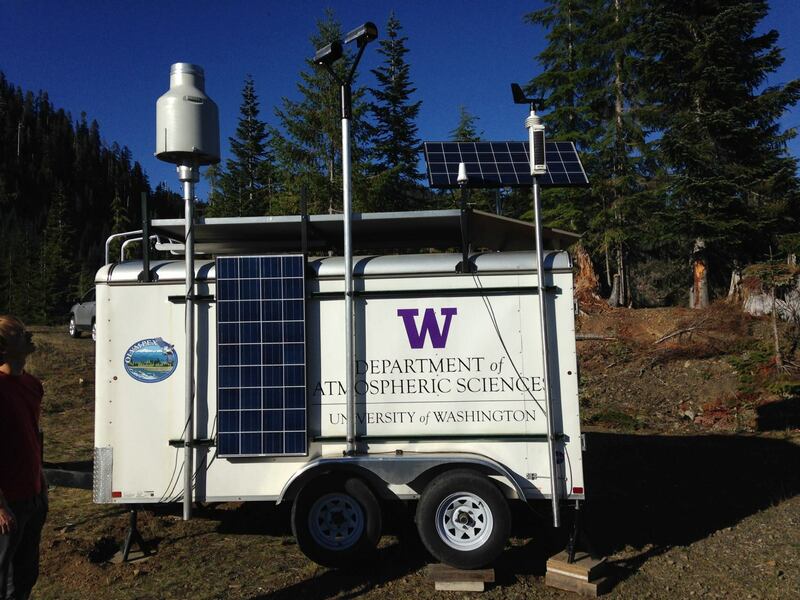 Field sites will be operating most days; to arrange a visit, contact UW research scientist Angela Rowe at akrowe@uw.edu. More photos are at www.bitly.com/olympex_news_photos and www.bitly.com/olympex_field_photos. This article was adapted from a NASA press release.